NGO News blog, NewsLine: World Aids Day 2017 on the theme ‘Right to health’ observed in SEVAI- NGO in Trichy, Tamilnadu. World Aids Day 2017 on the theme ‘Right to health’ observed in SEVAI- NGO in Trichy, Tamilnadu. The World Aids Day 2017 on the theme ‘Right to health’ observed in SEVAI- NGO in Trichy, Tamilnadu.The Founder/Director of SEVAI Dr.K.Govindaraju spoke on the occasion to HIV/AIDS reduction workers of SEVAI, “World AIDS Day is a day dedicated to raise awareness about AIDS and the global spread of the HIV virus. 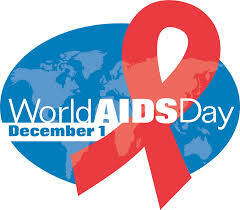 The first World AIDS Day was held in 1988 after health ministers from around the world met in London, England and agreed to such a day as a way of highlighting the enormity of the AIDS pandemic and nations’ responsibility to ensure universal treatment, care and support for people living with HIV and AIDS.